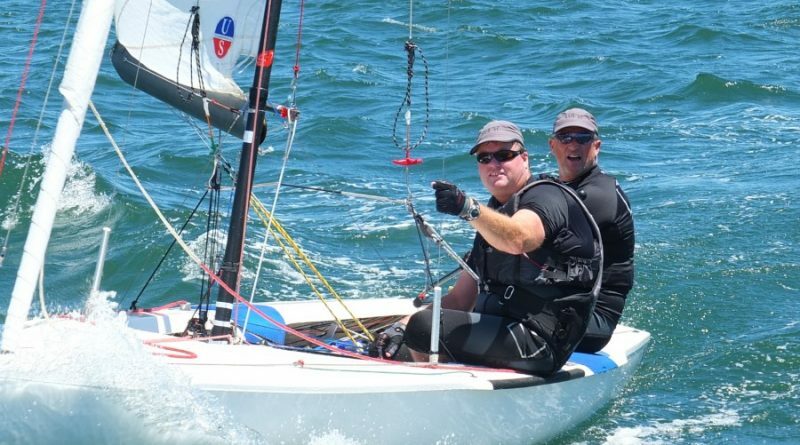 Cairn Curran Sailing Club's Darren Hocking and Peter Bartels pictured here competing in the 2015 Flying Dutchman World Titles on Sydney Harbour. 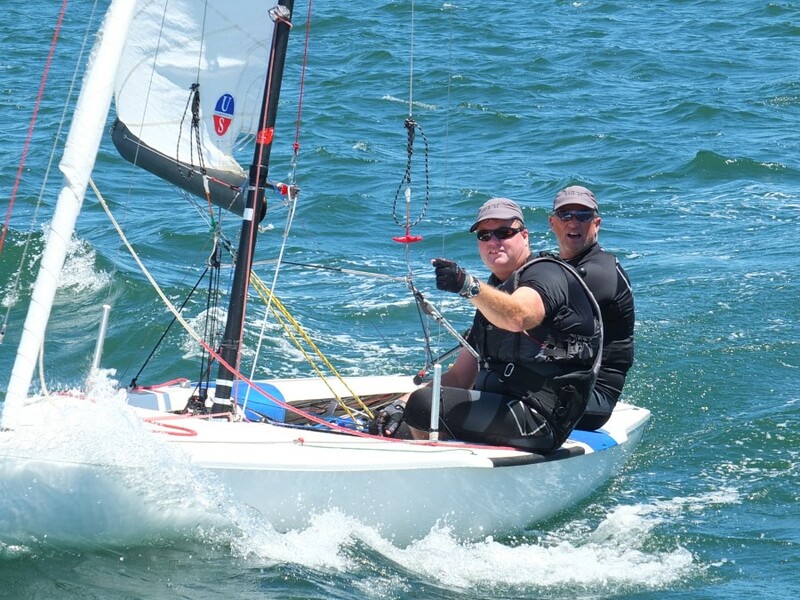 Cairn Curran Sailing Club member Darren Hocking has headed off across the ditch to compete in the Flying Dutchman World Titles in Nelson, New Zealand. The Cairn Curran club member will be among sailors from around the world who will test their skills in Tasman Bay after the Nelson Yacht Club won the bid to hold this year’s Flying Dutchman World Sailing Championships. The 62-year-old regatta will run from February 16 until February 21. Developed in the Netherlands in the 1950s, the Flying Dutchman is a six-metre (20 foot) high-performance mono-hulled racing dinghy, sailed by a crew of two and is considered one of the fastest racing dinghies in the world. While Hocking, who is Rear Commodore with Cairn Curran Sailing Club, flew out on Thursday, the boat in which he will do battle was shipped over a couple of weeks earlier in a container. The Hocking-Bartels combination previously competed in the FD World Titles on Sydney Harbour in 2015, finishing a respectful 13th place and Hocking says he hopes to do better this time. “It’s Peter’s boat. 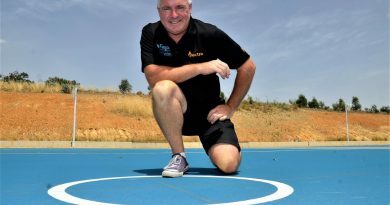 I’ve been sailing on this boat for seven years,” Hocking told The Midland Express before heading off for NZ. “I’ve been sailing with Peter off and on for 20 years. “I’d like to think we’d get a little bit better, maybe top 10. I’d like to improve a couple of places. “Australia is sending seven boats. The last world championships that I sailed in was in Sydney in 2015. 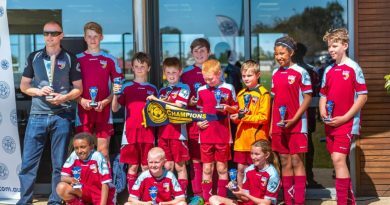 “We did the Australian titles a couple of weeks before Christmas at Cairn Curran. We finished second there. Hocking says the cooler temperatures anticipated on NZ’s southern reaches may take a bit of getting use to. “I don’t know what to expect. I haven’t been there before. Everyone tells me it’s a nice place to sail. “We’ve been watching the weather. It’s not very warm there. 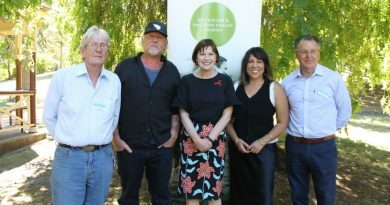 Hepburn Shire councillor Don Henderson, artist David Bromley, Macedon MP Mary-Anne Thomas, singer Kate Ceberano and Cr John Cottrell announce the new festival in January this year.